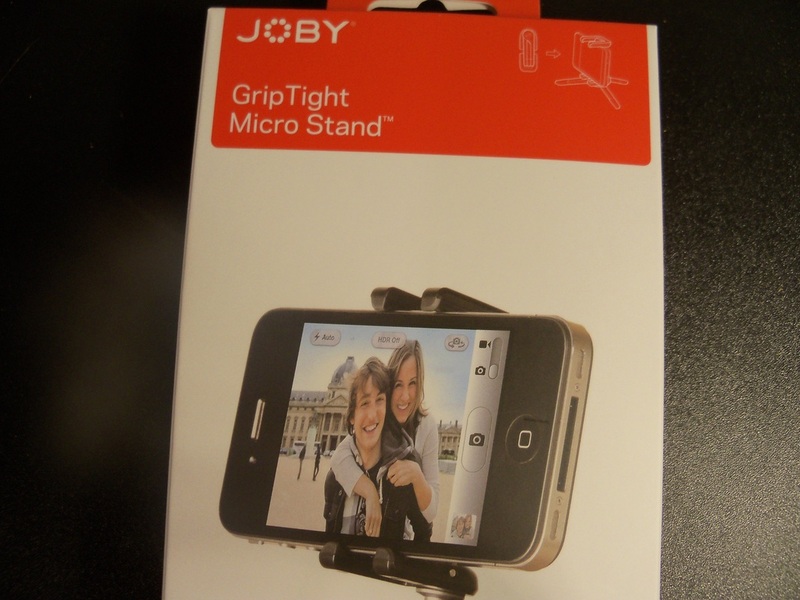 JOBY has sent me their Micro Stand for iPhone and Androids. This stand is a must get at only $29.95. The Micro Stand lives up to its name. It is very light and portable and even has a place to put it on your key ring. You don't ever go without your phone so why ever go with out your stand. Now it doesn't have to be a chore to get a good picture or watch a video with holding it in your hands, just clip it on your key ring or put it in your pocket, you will barely know its there. Even though the Micro Stand is small doesn't mean it has little features. This stand can Rotate 360 degrees all the way around, and can also swivel back and forth at 36 degrees. You wont need anymore wiggle room than that. The stand can hold any phone from 2.1" to 2.8" Finally a stand that you wont have to take off your case to put it on. The GripTight in its name also lives up to its expectations, once your phone is in there it wont just slip out. Another awesome feature to the Micro Stand is that it doesn't just work on your phone. If you have a camera that has a threaded hole on the bottom then this stand will also work with your camera. It has all the same degrees of movement as with your phone. I have never seen a better light weight stand than this. I give this Stand a 10 out of 10. So go pick it up at www.Joby.com for only $29.95 and tell me how you like it also.